Record to celebrate 40 years of Effenaar. 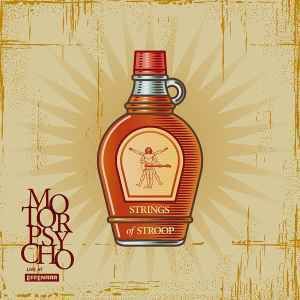 Contains 5 live recordings of Motorpsycho at Effenaar, Eindhoven, the Netherlands. Track A1: May 7, 1999, track A2: April 21, 2000, tracks B1 and B2: May 23, 2010. B3 not credited on cover or labels (May 4, 2006; Queen cover). Limited to 500 copies on 180 grams vinyl only available at the Oct 15th 2011 show. Would swap my mint copy against original Lobotomizer on vinyl.